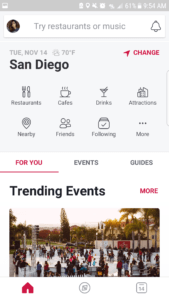 Previously known as their Events app, the new Facebook Local app is meant to function as a business listing service, similar to that of Yelp and TripAdvisor. 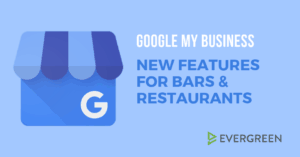 It provides information and reviews on a variety of things like local businesses, bars, and restaurants. As you can see here, the app syncs with your existing facebook account. 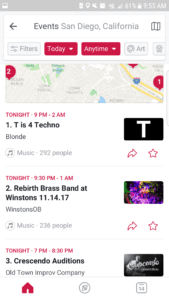 The home menu in the app gives you a variety of places to explore. From the home menu you may narrow your search depending on what you’re looking for. 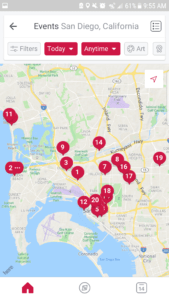 You may search for local bars, restaurants, cafes, etc. Where things get a little more complicated, are around the various features related to the events in your local area. Looking for specific types of events? You can do that too. The “guides” tab brings you to a selection of interests that you may pick from. 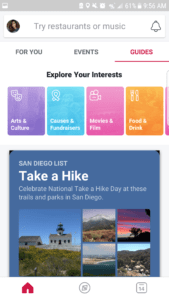 The app will then list events that cater to those interests. The “For You” tab, also shows pages/events that you or your friends like. 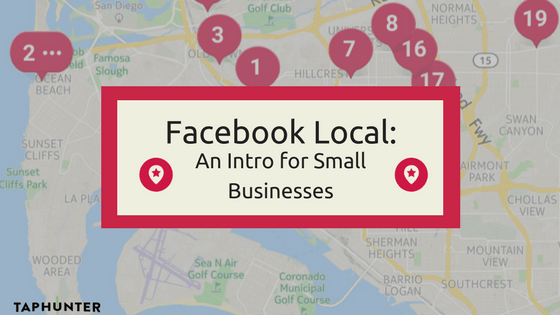 How can the Facebook local app be beneficial to small businesses? 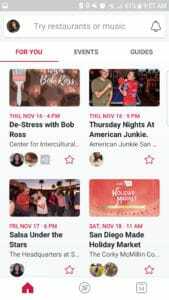 For business owners, Local is a new platform for event promotion that is much more visible than before. 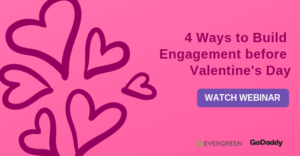 With the ability to categorize your events, people who share interest in that category can find the event without having to follow your page first. Facebook reviews are an up-and-coming competitor to services like Yelp. With their review features being incorporated into the Facebook Local app, customers may be more likely to remember to review you on Facebook. This is why it’s more important than ever to make sure you’re engaging with any Facebook reviews your business receives, and our social media tools at TapHunter can make that easier. It also allows you to have another active outlet to gauge your customer satisfaction, subsequently providing more opportunities for engagement. 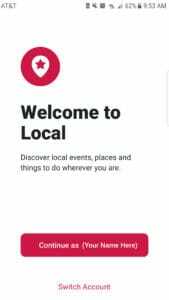 While it may sound like just another social media app, Local is a fantastic chance to take advantage of the massive user-base that Facebook has to promote your business and obtain new patrons. Want to learn how Instagram can make your bar more money? Watch the webinar training here!